What’s the True Cost of Clean Power Plan Compliance? Fossil Minute: What’s the True Cost of Clean Power Plan Compliance? ScottMadden recently joined the Solar Electric Power Association to lead a group of U.S. energy industry executives to Germany to exchange information with electricity and solar market leaders who are adapting to change in this controversial electricity and solar environment. Confirming Compliance – Do You Have Proper Oversight of Your Contractors? Establishing a governance model for NERC compliance is key to mitigate violations found by auditors and avoid costly fines for governance models. East Kentucky Power Cooperative (EKPC) is a large, not-for-profit generation and transmission cooperative with more than $3 billion in assets and more than $800 million in annual revenues. 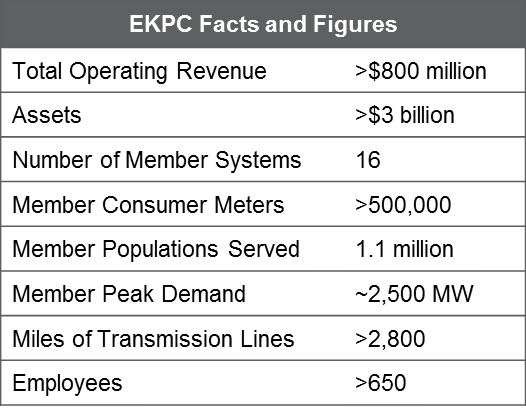 EKPC was incorporated in 1941 and is one of the largest generation and transmission cooperatives in the United States. The organization is regulated by the Kentucky Public Service Commission (PSC), is owned by 16 member cooperatives, and is governed by a 16-member board representing each of those cooperatives. EKPC’s 16 member cooperatives serve more than 500,000 homes, farms, and businesses in 87 counties. Like other electric cooperatives, EKPC strives to provide low-cost, reliable electric power to its member companies in the face of increasing investment requirements and the pressure to reduce costs. Prior to its successful turnaround, EKPC was in difficult financial condition. This was noted when the cooperative’s financial leadership, at the time, predicted the cooperative would not be able to achieve an investment-grade credit rating if it applied for one. At the request of the PSC, a management and operations audit of EKPC was conducted. The findings of this audit identified, among other issues, a need for strategic focus by both management and the Board of Directors (BOD) and recommended that strategic planning be elevated and made an ongoing priority. In addition, this new strategic orientation, once established, would need to be communicated to the organization and, ultimately, pursued through real improvements in the business. ScottMadden was asked to work with senior executives and the BOD to develop a new strategic plan, to engage with management to operationalize this strategic plan with specific business plan initiatives and to develop an integrated planning calendar to sustain strategic and business planning in the future. First, EKPC needed to develop a strategic plan that had the support of both its executive management team and its 16-person BOD. To achieve this, it was imperative that the BOD was closely engaged in the process. 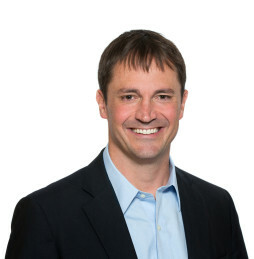 ScottMadden conducted a strategic assessment and supported the organization through envisioning sessions, strategy discussions, and a Board retreat to develop a strategic plan that would support the mission of the cooperative: to serve its member-owned cooperatives by safely delivering reliable and affordable energy and related services. ScottMadden developed and facilitated both the planning process and documentation so that EKPC (including senior executive staff and BOD) could concentrate on content. Regular meetings were conducted to allow management to provide timely guidance and direction. This practice ensured that the best ideas were generated and that the management team owned and endorsed the resulting strategy. Once the strategic plan was approved, a corporate-wide business planning effort was conducted to operationalize the EKPC Strategic Plan, establishing initiatives that clearly tied to each of the eight strategic priorities. These business plan initiatives incorporated clear goals and measures and articulated specific activities with owners and timelines. The ScottMadden team also established corporate-wide planning processes and templates and conducted all associated training for EKPC personnel. As part of the business planning effort, the EKPC executive staff collaborated to develop a balanced set of performance measures. The management team then systematically set goals and tracked progress against these established performance measures. In total, 18 business plans were developed across the cooperative to drive knowledge of, and accountability for, executing the EKPC Strategic Plan down through the organization. This strategy-centered business planning approach focused the entire organization on the new strategic plan and instilled discipline for planning, initiatives, and budget execution. EKPC continues to hold itself accountable by executing an integrated planning process that sustains strategic planning and supports the executive team and BOD objectives with annual business planning. Most importantly, this planning discipline continues to drive results for EKPC. For example, tangible evidence of the successful turnaround was highlighted only 19 months after the PSC made its recommendations to address financial and operational challenges. EKPC secured investment-grade credit ratings, the first established in the history of the cooperative, with Standard & Poor’s and Fitch.